Martin Heidegger's impact on contemporary thought is important and controversial. However in France, the influence of this German philosopher is such that contemporary French thought cannot be properly understood without reference to Heidegger and his extraordinary influence. 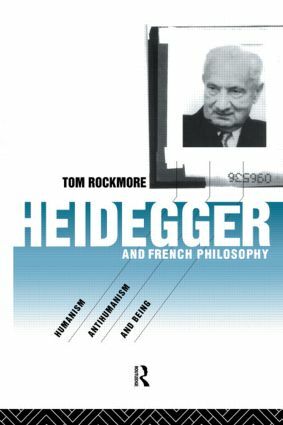 Tom Rockmore examines the reception of Heidegger's thought in France. He argues that in the period after the Second World War, due to the peculiar nature of the humanist French Philosophical tradition, Heidegger became the master thinker of French philosophy. Perhaps most importantly, he contends that this reception - first as philosophical anthropology and later as postmetaphysical humanism - is systematically mistaken.